*PUBLIUS. Mr. President, the distinguished Senator from New Jersey, Mr. Menendez, spoke before the Senate last week regarding Cuba, protesting the fact that provisions in the omnibus conference bill will change payment terms regarding the sales of agricultural products to Cuba. Is the Senator aware, as are the other members of the Senate, the fact that the current payment system in place has led to demurrage and losses in the tens of millions of dollars? And the fact that U.S. businesses authorized to sell to Cuba must be paid through third party banks? Third party bank fees now exceed $200 million dollars because of this chaotic payment system. Those bank fees could have been used to buy more products from U.S. farmers and food businesses. $200 million in bank fees that were paid to third party foreign banks could have been paid directly into our economy were it not for the laws that the Senate should change now. Thankfully under the leadership of the distinguished Senator from Montana, Mr. Baucus, at least some of these measures will now allow payment for goods in transit and reduce the risk of demurrage.This was the original intent when the Congress amended the Trade Sanctions Reform Act of 2000. Cuba, as Senator Menendez pointed out, is a nation with serious economic and political problems. In fact, the economic crisis now facing every country on the planet is inside the ultimate socioeconomic crucible. For there is no socialist political solution to the economic problems Cuba faces and I suspect the Cuban people know this. Similarly, our country has no good capitalist solution to the problems we face and I suspect we know this too. Extremism has been the fuel of our downfall. The Senator protests the measures that were added to the omnibus bill. But why is the Senator surprised? When the last time this issue came before the Senate, the Senator protested and almost threatened to stop the country’s business over his concerns about Cuba to the point that the Treasury Secretary had to write him a letter to assure him of his concerns. Where was the Senator’s protest when the provision to effectively lift the travel ban to Cuba was passed by the Senate and House yet somehow the provision was removed by former House Majority Leader Tom Delay and his cohorts with the blessings of the Bush White House before it was signed into law several Congresses ago? Where was the Senator’s outrage when the Senator from Florida, Mr Lemieux, last week successfully protected $30 million for Radio TV Marti, a U.S. taxpayer funded waste of money that no one listens to in Cuba? Where is the Senator’s outrage that two Cuban American terrorists walk the streets of our country freely when they have admitted their involvement in past violent activities, including the bombing of an airplane that killed 73 people? The list can go on and on with the unfortunate and tortured nature of our politics with Cuba.So, will the Senator support democracy and now allow an open debate and a straight up and down vote on S.428, the Freedom to Travel to Cuba? The Senator wants to forsake our American rights with the intention of bringing human rights to Cuba – the tortured logic being lets forsake the American right to travel so that Cuba may have human rights. That calculation does not add up Senator. 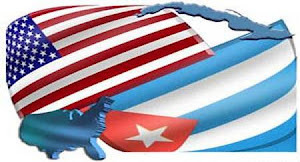 Who is the determinant of Cuba’s rights and political system? The United States of America or the Cuban people? The Senator suggests we will finance repression if we allow free travel to Cuba. Let’s break that down for a moment. If the Senator believes that we finance repression, then where is his motion or resolution before the Senate now to break diplomatic relations and trade with China and Venezuela? Using the Senator’s logic, we are financing repression in those countries and Cuba by extension too. Then the Senator proclaims concern for human rights activists and political prisoners in Cuba. But when has the Senator ever traveled to Cuba in his life? When has he sat down with our adversary and conducted negotiations and sought a peaceful way to resolve the conflict? He states he hears the words of the Cuban Antunez. Let him hear and listen to the millions of Cubans who want an end to all travel restrictions and the cruel embargo now that hurts the Cuban people and empowers the very repression we complain about when it comes to Cuba. Antunez is correct when he says change is inevitable in Cuba. But we are far from being a catalyst of change as the Senator suggests. Instead, we are the ultimate antagonist with our policies and the reaction we have received is more repression and no change whatsoever. That antagonism sustains the very dictatorship we complain about. Just recently we learned of an American who entered Cuba with computers and other electronic equipment to distribute to groups committed to overthrowing the Cuban government and is currently being detained by Cuban authorities. This dangerous activity not only puts our citizens at risk, but also put Cubans who receive these goods in danger as well. We would not tolerate such activities if they were done to the United States. So why are we doing this to Cuba? I am not a fan of their political system of government, but are we going to recognize their sovereignty or not? Whatever we think of the Castro led Cuban government, it is a government recognized by most other countries of the world with diplomatic relations. Are we going to stop wasting precious taxpayer money for these so called democracy groups that have achieved very little in Cuba other than help assure the imprisonment of Cuban dissidents and now a fellow American? When is the Congress going to start listening to the people instead of campaign contributors? When is the Congress going to act in the best interests of the people of the United States instead of the special interests of the United States? I submit to the Senator when our government stops antagonizing Cuba, conditions will be set for dramatic change. He discounts the power and the reality that almost half the population of Cuba has relatives here in the United States. In an atmosphere of normal travel, normal communications, and basic trade, there has to be an impact on the socioeconomic order in Cuba. It will be preferable to have a discussion about politics and human rights in an atmosphere that is far less hostile than the present one. I HAVE BEEN WRITING FOR YEARS TO HAVE THE U.S. EMBARGO. IT'S FOR THE CUBAN PEOPLE, AND FOR OUR GOODS THAT CAN BE PROVIDED TO CUBA. Perfectly said. BRAVO!!! (Applause) Bravo!